CineMartin are the first company I know of to give us H.265 HEVC (High Efficiency Video Coding) conversion with the just-announced CINEC v2.7. It supports up to 4K resolution and you can try it today. In case you live at 12 Under Rock Drive, the H.265 standard is the biggest codec of the decade. It supersedes today’s most common codec for encoding and internet delivery of video (H.264) and makes 4K recording to SD cards possible on DSLRs. Cinemartin say in their tests a ProRes 4:4:4 video of 590MB was converted to H.265 HEVC with CINEC 2.7 to an output video of 4.9MB with little or no noticeable differences in image quality. This low data rate and file size makes all kinds of magic possible, because at the same data rate as the old codec you get a massive leap in image quality and resolution. This is the codec that future 4K enabled consumer DSLRs will use to record video and the codec Netflix, YouTube and Vimeo will use to stream 4K movies. H.265 makes possible cinema quality 4K streaming via the internet on a normal DSL connection, or the streaming of 10bit 4:4:4 at ProRes quality, from current cameras. No longer will people need to download the original file on Vimeo to get a sense of the total image quality. For grading footage of course raw and ProRes will still be the codec of choice – because you cannot ideally grade a baked in compressed image. Like its predecessor H.265 is also much heavier on the CPU than a standard low efficiency codec. For playback and especially editing you will need a quad core CPU. Encoding itself does work on dual core CPUs like the i5 in a Macbook Air but it will be much slower. The prospects for this codec are very exciting. Existing data rates like the bog standard 24Mbit for AVCHD will be enough to deliver 4K and ProRes 4444 quality video on future DSLRs recording to normal SD cards. It will allow smartphones to do real 4K resolutions in video mode without the kind of massive quality loss at low bitrates we see on current handsets like the Samsung Galaxy Note III. What needs to happen first however is for dedicated H.265 encoding chipsets to become more common and affordable. Then manufacturers will need to value video on DSLRs and other stills cameras enough to consider putting one on the main board. It’s unlikely that a software H.265 encoder running on a general purpose CPU will work even on the most powerful of todays mobile ASICs on consumer cameras. It needs far more power than H.264 because the mathematics and algorithms behind it are much more advanced. 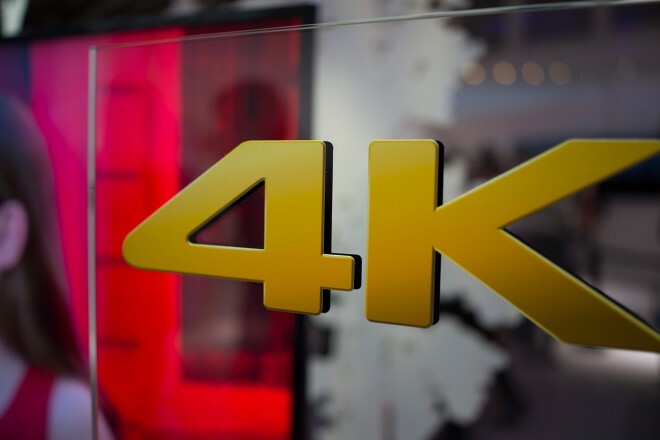 Currently it’s necessary to encode 4K video at very high bitrates to avoid the image turning to mud and all that detail being washed away to barely high definition. The rumoured GH4 for example, has a 220Mbit codec according to leaked specs. High bitrates mean very large file sizes and on some cameras low efficiency compression means banding and low bit depth colour (8bit) is the price to pay for storing all that detail – like we see with MJPEG 4K on the Canon 1D C.
Currently general consumers complain about limited maximum recording lengths and large unmanageable data files on consumer cameras so manufacturers have been tempted to keep the bitrate as low as possible. With H.265 that problem is going to go away. 10bit 4:4:4 video will be a breeze to record and store with H.265 and in the future consumers will be recording hours of 10bit 4:4:4 to one 64GB SD card as easily as current point and shoot cameras delivery mushy 8bit AVCHD or H.264 MOV. I can see this HEVC technology coming to stills too. As the image quality of the sensor advances and megapixels increase north of 36MP, an 8bit JPEG isn’t going to cut it. H.265 for stills will offer tiny files sizes and massive resolutions, whilst moving away from 8bit to 10bit for smoother gradation and colour. H.265 supports up to 8K and in Japan trials are underway to broadcast digital 8K feeds to the home. So this new codec is the final and most crucial key to unlocking greater image quality. The current generation of sensors already do 4K and 5K video outputs (like with the 20MP readout on the Sony RX10′s 1″ sensor) and the full pixel readout of the latest 16MP Micro Four Thids CMOS from Panasonic. Compressing and storing all that is what H.265 does best. Now let’s hope manufacturers can be bothered to implement in a timely manner! Posted in videoTagged cinemartin, h.265Bookmark the permalink.